Yesterday (27 January), the Observer published an article, "Insomnia, panic attacks, constant worry – the life of Britain’s EU citizens". In the article, it said that applicants will only be able to apply to the EU Settlement Scheme using an android device and for those not online they will be able to get help at one of 13 centres around the UK. This is misleading for the following reasons. The public testing phase of the EU Settlement Scheme started on 21 January and is entirely voluntary. During this phase EU citizens with a valid EU passport, as well as their non-EU citizen family members who hold a valid biometric residence card, are able to apply in this public test. The full scheme will be rolled out by 30 March 2019. Applicants are able to use any laptop or mobile device to make an application. This test phase requires applicants, in making their application, to prove their identity by using the EU Exit: Identity Document Check app which is currently only available on android devices. This is helping us to test the integrated online application process. 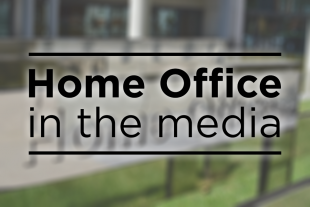 Once the system is fully open, there will be further routes available to have identity documents checked, including a postal route for submitting ID evidence and over 50 locations where applicants can have their chip checked. We are also providing grant funding of up to £9 million for voluntary and community organisations across the UK to support EU citizens who might need additional help when applying to the EU Settlement Scheme. We are working in partnership with representatives of vulnerable groups, local authorities and other experts to make sure we reach everyone. For more information on the public test phase of the EU Settlement Scheme, please see our media fact sheet.